When I wrote my eAlert on Vitamin K2 I asked if it would be ironic if Atherosclerosis was caused not by what we eat but by a deficiency of Vitamin K2. Similarly, sunshine and our skin’s syntheses of Vitamin D3 may be responsible for so many diseases including cancer, depression, diabetes, osteoporosis and even disorders of autoimmunity. Knowing this should have made everyone run out and get these two amazing nutrients. But, alas, not everyone did. I still find that many of you are not taking these supplements. Medical care for these degenerative diseases is not only bankrupting our families but also our country. Remember when I told you about how Finland reduced their incidence of heart attacks and strokes by 80% and increased life expectancy by 6 years by changing their use of a table salt which was high in Potassium and Magnesium and low in Sodium? Very few of you inquired about how you could get this salt. I thought every woman in my practice would have signed up for Breast Thermography when I showed how this technology was so sensitive it could find changes in a breast 6-10 years before any other procedure. 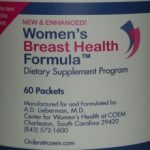 Having this head start made it possible to reverse these breast changes using a special nutrient program which we call the Women’s Breast Health Formula. Yet again, few women took advantage. Lastly, I couldn’t suppress my excitement over the newly discovered nutrient PQQ which literally can regenerate our mitochondria and reverse aging. Again, only a few of you inquired about this breakthrough in nutritional medicine. When we enter into the New Year of 2012, wouldn’t you make a resolution that your health is all you have and you must protect it at all reasonable cost? Continue reading below to see how cost-effective these few measures are in protecting you and adding years to your life. Wishing all of you a happy and healthy New Year. Vitamin K2 as MK7 (Menaquinone-7 derived from Natto Extract) is needed for building bone. It also aids cardiovascular health by helping to maintain arterial elasticity. Although Natto is derived from soy, this product is free of soy protein and can be taken by individuals who do not have a severe soy allergy. Each softgel supplies 90 mcg. of MK7. 60 softgels per bottle. Suggested Dose: Take 1 softgel daily with a meal. NOTE: If you are taking anti-coagulants such as Coumadin, consult with the doctor before taking MK7. Vitamin D3 is an essential vitamin for the prevention of heart disease, cancer, diabetes and depression. At COEM, we carry 3 forms of Vitamin D3 in varying strengths: 5,000 I.U. capsules in bottles of 100 for $7.50, 2,000 I.U. softgels in bottles of 120 for $10.50, and 2,000 I.U. drops in bottles of 365 drops for $19.00. The drops may be used for children or adults. Suggested Dose: For general good health, take a daily dose of 2,000 I.U. to 5,000 I.U. of Vitamin D3 to keep your blood level of Vitamin D3 above 45 ng/ml. We recommend having your blood levels tested periodically to ensure that you are taking adequate but not excessive doses of Vitamin D3. 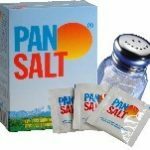 Providing nutritional support for cardiovascular health, Pan Salt is a unique formulation containing a proprietary blend of the following ingredients: Sodium chloride, Potassium chloride, Magnesium sulfate, Lysine hydrochloride, Silicon dioxide, Zinc chloride, Copper glycinate, Selenium and Potassium iodine. Suggested Dose: Used as a replacement for table salt, Pan Salt comes in a 3 oz. jar, making it convenient for use right on the table. The accuracy and sensitivity of Breast Thermography stems from the fact that cancers are fed by abnormal blood vessels that do not respond to the body’s Autonomic Nervous System (ANS). During the cold acclimation process of a thermogram, blood flow to normal tissues decreases and the ANS signals blood vessels to constrict in response to cold challenge. Abnormal tissues do not respond to the ANS signals and remain engorged with blood, showing “hot” on the digital infrared image and making it possible to differentiate them from normal tissues. Breast Thermography has the ability to detect the first signs that a cancer may be forming, up to 10 years before any other procedure can detect it. Caught this early, these abnormal changes can often be reversed through simple nutritional therapies. Thermography involves no radiation or pain and is totally non-invasive, requiring no contact with the body. This protocol was formulated here at COEM to provide the most active and effective nutrients to maintain normal breast tissue and to assist the body in reversing early pre-cancerous changes. The formula is so complete that often no other foundational supplements for good health are necessary. Each packet contains 3 multivitamin/mineral capsules, 1 Calcium D-Glucarate capsule, 1 Indole Forte capsule, 2 Omega 3 Fish Oil softgels, 1 Vitamin D3 1,000 I.U. capsule, 1 Ubiquinol (Coenzyme Q10) 100 mg. softgel, 1 Vitamin E and Tocotrienols softgel, and 1 Iodine 6.25 mg capsule. 60 packets. Suggested Dose: Take 1 packet 1 to 2 times daily with meals. This formula contains 20 mg. Pyrroloquinoline Quinone (PQQ), which is often considered a newly discovered vitamin, and 50 mg. of Alpha Glycerylphosphoryl Choline, a phospholipid. These nutrients help boost cognitive performance and memory, sometimes even when dementia already exists. They also help support proper neurological health and may be helpful in neurological disorders such as Parkinson’s and other diseases. 30 capsules. Suggested Dose: Adults take 1 capsule 1 time daily with a meal.